Ready for the spring but not a fan of getting baked in the sun? Want to prevent yourself from the brutal UV rays? If ‘yes’ then ‘Patio Covers’ are the best bet for you. A patio cover not just enhances the appearance of your home’s outdoor area, but also saves you from extreme weather conditions such as heavy rains in the winter. If you are looking for a traditional classic look and want something conventional yet stylish –Pergolas could be the perfect pick for you. 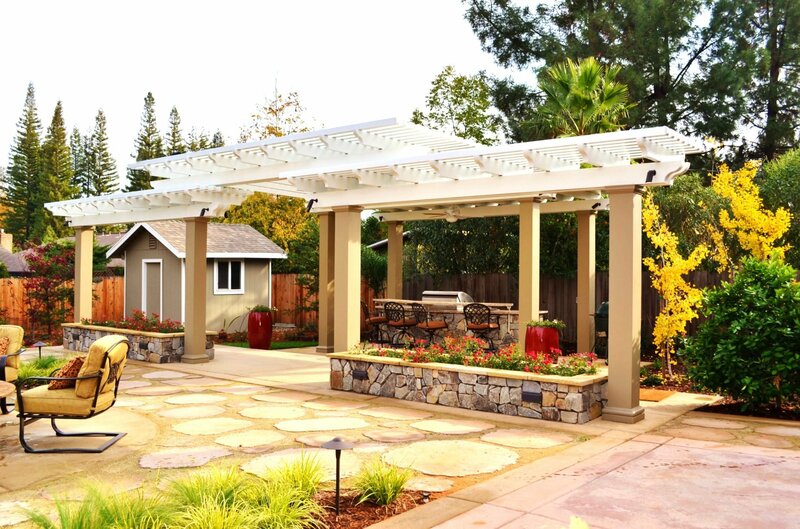 Additionally, if you intend to shade your Patio with an intriguing Italian look; a Pergola style patio cover is something you may want to look into. Modern homes call for the latest layers, and a contemporary lattice styled covering can offer a captivating look. 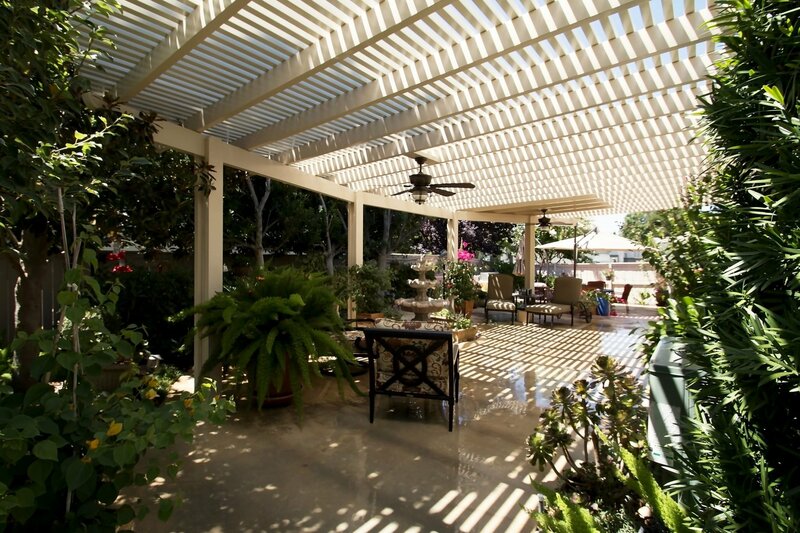 You may enhance the overall aesthetics of a patio by installing a Lattice Patio cover made of a high grade of aluminum to protect your investment from the elements. 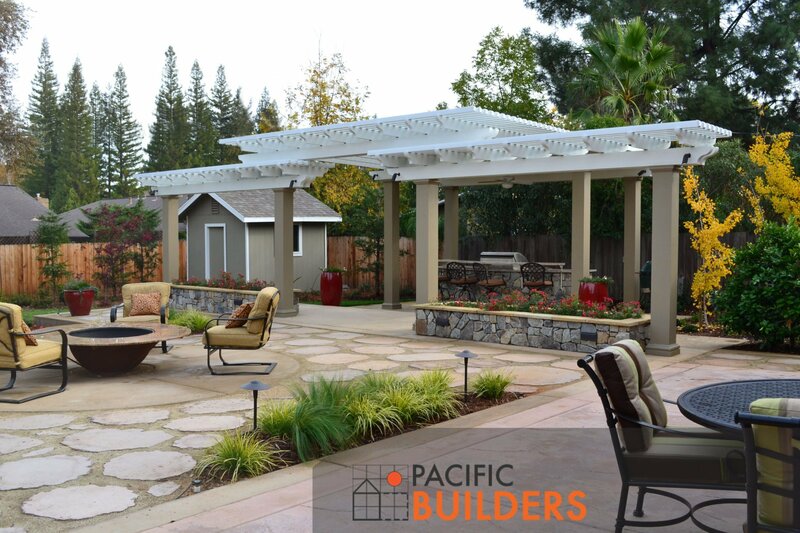 A lattice patio provides protection, beauty, and longevity while offering your home a trendy “luxe” look –what else do you expect from a Pacific Builders patio? Solid Patio Covers provides complete coverage and protection from rain, snow etc. Roofing can be insulated and wired for lighting and fans, if desired. Solid Patio Covers can also feature a cedar embossed texture and wood grain finish, as well as high quality paint that won’t chip or peel! An installed Solid Patio cover offers 100% coverage and protection from the elements. With an optional thick foam insulation in the roofing, these covers decrease noise caused from rain by cushioning the impact. Patio shades are not only the best but probably the most cost efficient way to save your loved ones from scorching sun exposure while giving them an enjoyable time during spring and summer. Choose your patio cover correctly, and save a fortune by making this valuable investment for your home. 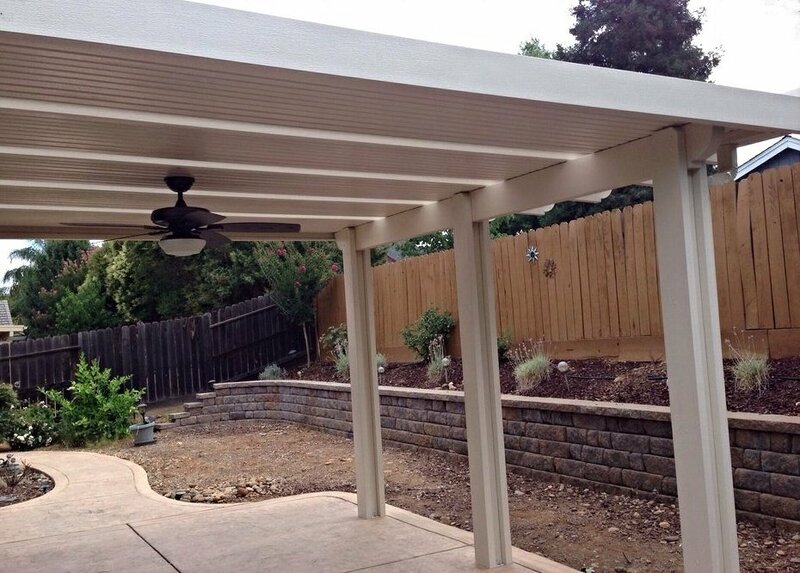 Call your local trusted custom Patio Cover Designers Pacific Builders today.